June 20, 2016 By JRL, Esq. Life insurance often plays an important part in planning one’s estate. It’s important to recognize the various uses and functions of life insurance as well as the tax repercussions of having a life policy and also receiving the death benefits from a policy. This is the first of two posts dealing with life insurance and the estate planning and tax issues it presents. A number of life insurance policies are available. The decision of which product to purchase should be made with the help of an insurance professional. As an example, your situation may call for a policy with a cash value component such as universal life or whole life. Or a term policy may be the best for your circumstances. Another consideration is whether to insure one life or joint lives (often called a “second-to-die” policy). A “second-to-die” plan frequently is acquired to cover estate tax considering that the majority of estate strategies defer the payment of death tax until following the death of the second spouse to die. There may likewise be choices concerning the payment of premiums, surrender fees, policy loans, and also various policy riders. 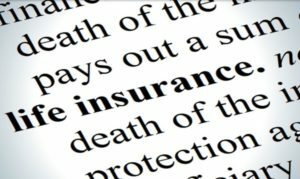 It is worth noting that life insurance is regulated by the states, so the life policies which are issued are authorized ahead of time by the particular state’s division of insurance. However, picking the appropriate life insurance policy can be difficult with the wide variety of options available on the market. So it’s essential to speak with your insurance advisor when buying life insurance. Among the most usual uses of life insurance is income replacement for your family. When one loses a spouse, the difficulties can be worsened considerably by the loss of deceased spouse’s earnings. Among the crucial functions of life insurance is that insurance proceeds are not taxed as income to the beneficiary. (There is an exception if there was a “transfer for value”, whic h is beyond the scope of this post.) Consequently, the life insurance death benefit can provide economic security to the insured’s household. Also, you should not forget about the value of a “stay-at-home” spouse. A life insurance policy is often purchased on the stay-at-home spouse to offer financial resources to the employed spouse just in case of an unanticipated death. Don’t undervalue the contributions of the stay-at-home spouse. In estate tax planning, a common purpose for a life insurance policy is to use the death benefit to pay the federal estate tax owed upon the policyholder’s death or to at least replace the value of assets that are used to pay the estate tax. The lifetime exception for federal estate tax purposes is $5,450,000 per person for 2016. Although the life insurance proceeds are part of the insured’s taxable estate, the estate tax affects fewer people than in the past. Consequently, this function of life insurance is not used as extensive as before. 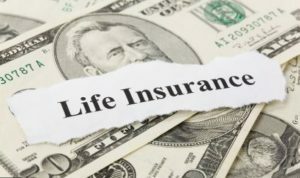 Nevertheless, if life insurance is needed and there is an estate tax issue, perhaps due to the life insurance itself, clients often use a “Life insurance Trust” to keep the policy proceeds out of the insured’s estate. Whatever the situation, it is a good idea to review your policies to make certain continuation of the policy is prudent, whether it is in a trust or not. Catch next week’s continuation of post about the uses of life insurance in estate planning.